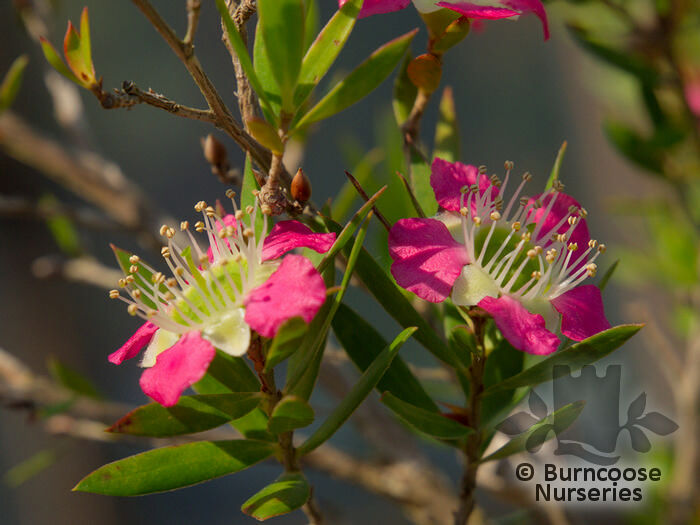 Small, bright flowers making up for their size by their profuse flowering. 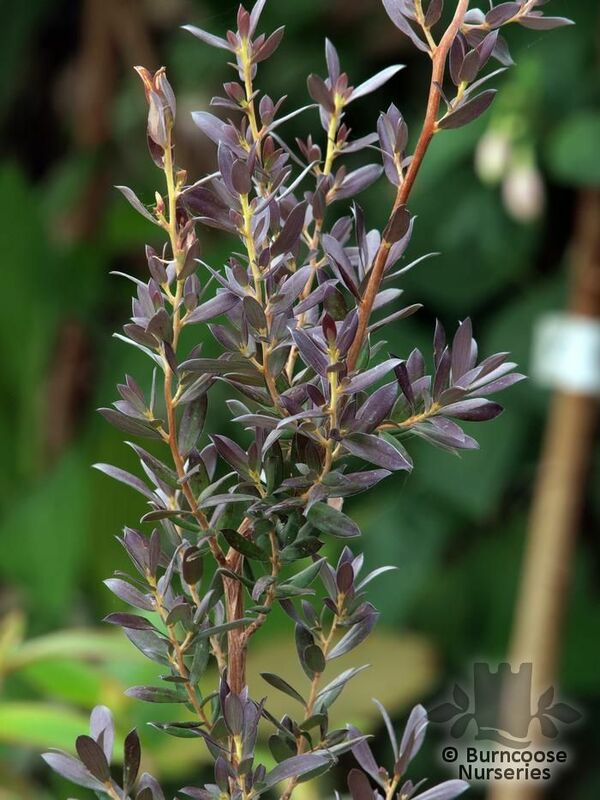 Early Australian settlers steeped leaves of some varieties for drinking. 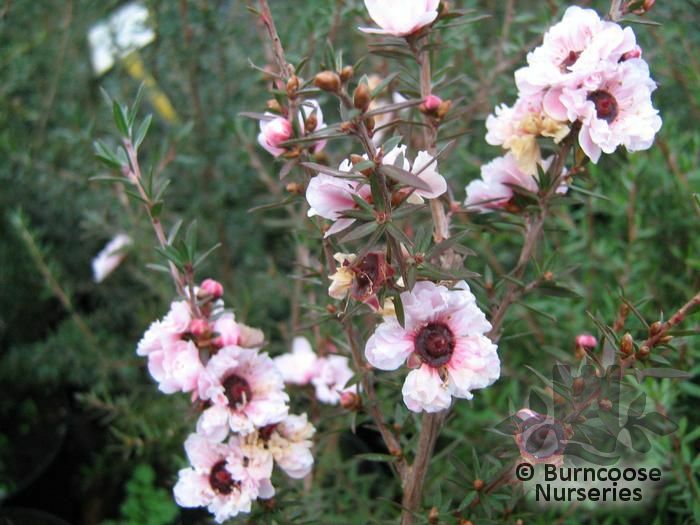 L. scoparium is the source of Manuka honey. 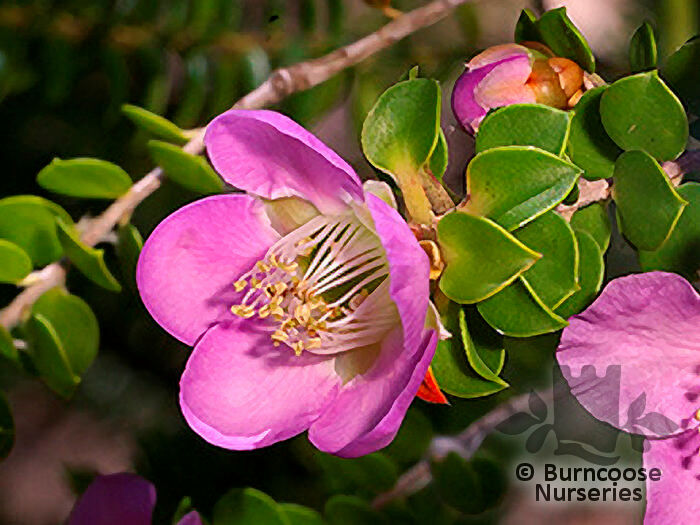 Genus of about 85 species of evergreen shrubs and trees occurring in rainforest and semi-arid areas mainly in Australia but also from southeastern asia to New Zealand. 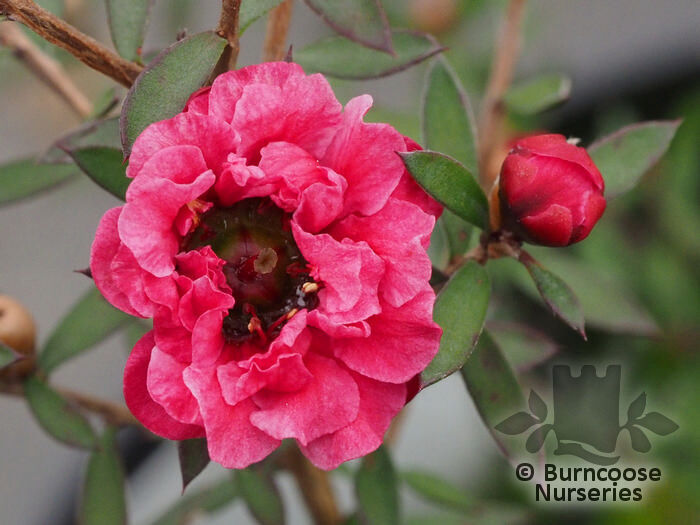 Will grow outside in milder locations - This could include plants which would survive happily in a greenhouse or conservatory if not in a mild location. 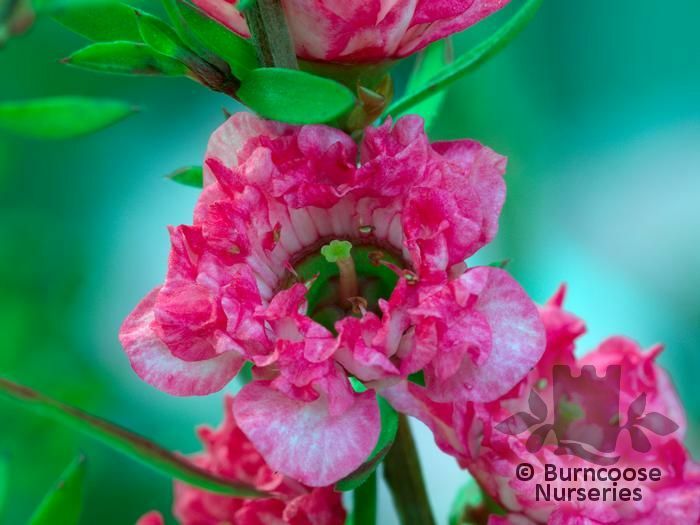 If you have a sheltered spot in your garden then it may do well here. 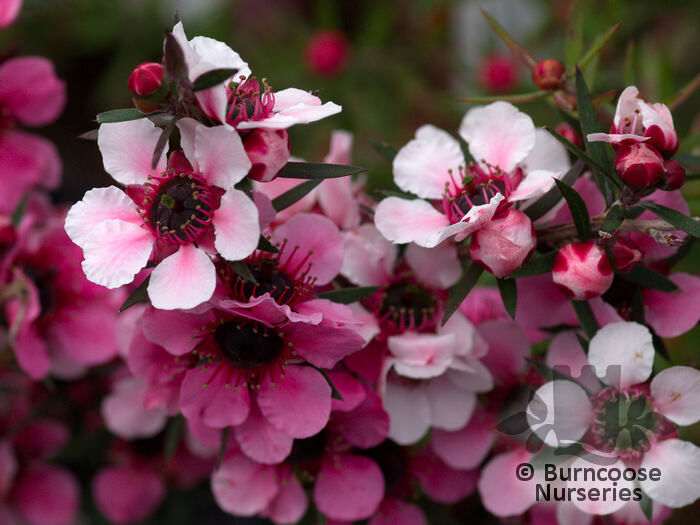 - in greenhouse, loam based potting - full or bright filtered light. 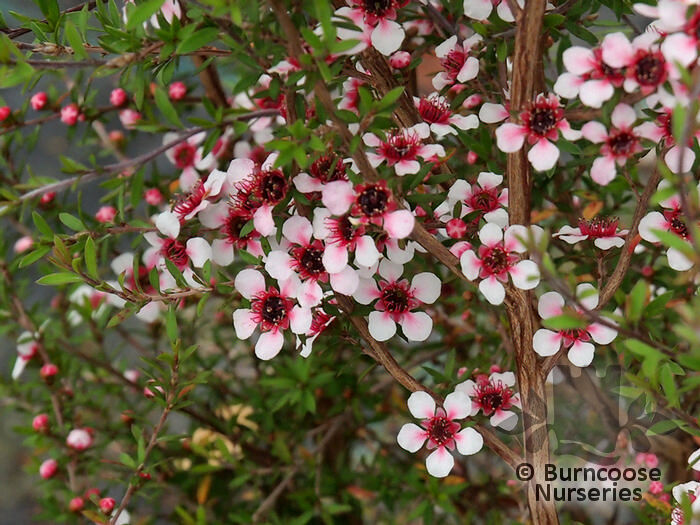 Additional Features	- Good to know - some are very recent hybrids from the New Zealand native 'scoparium' (Manuka) and some of the 80 species from Australia. 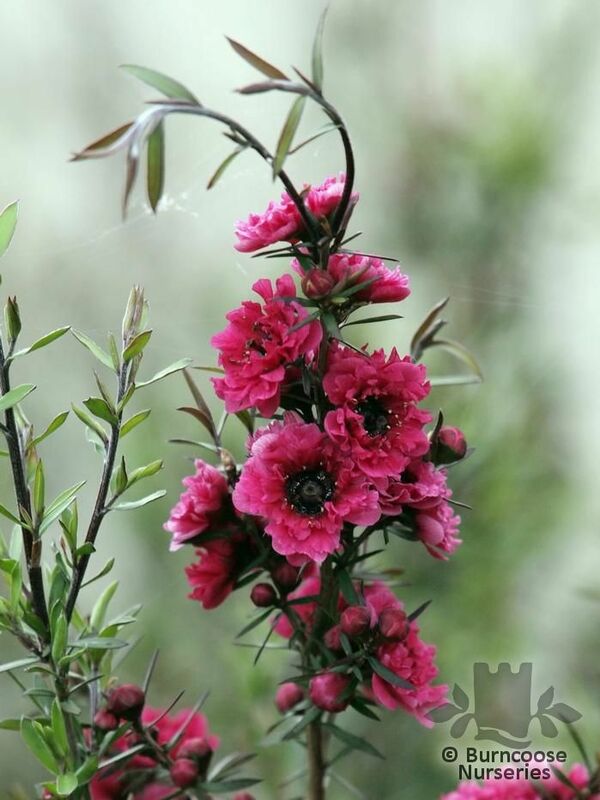 Place of origin - southeastern Australia, New Zealand. 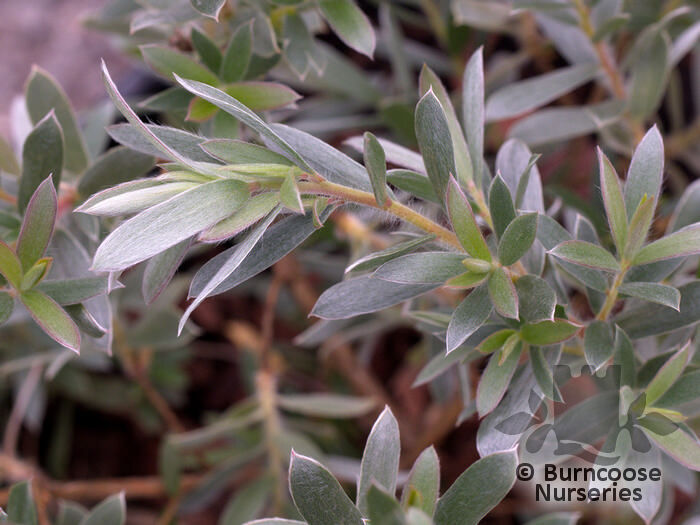 Is Scented Plant	- Scented foliage - generally aromatic foliage. 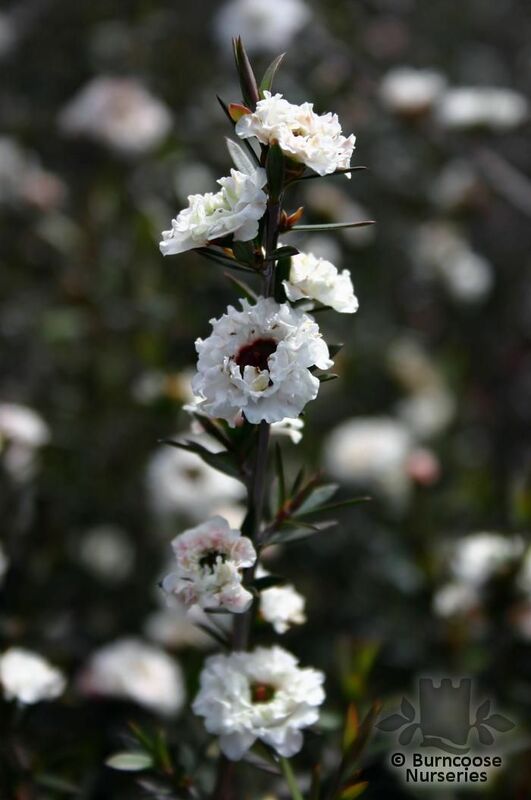 Commonly known as: Mountain tea tree, Rodwayanum tea tree. 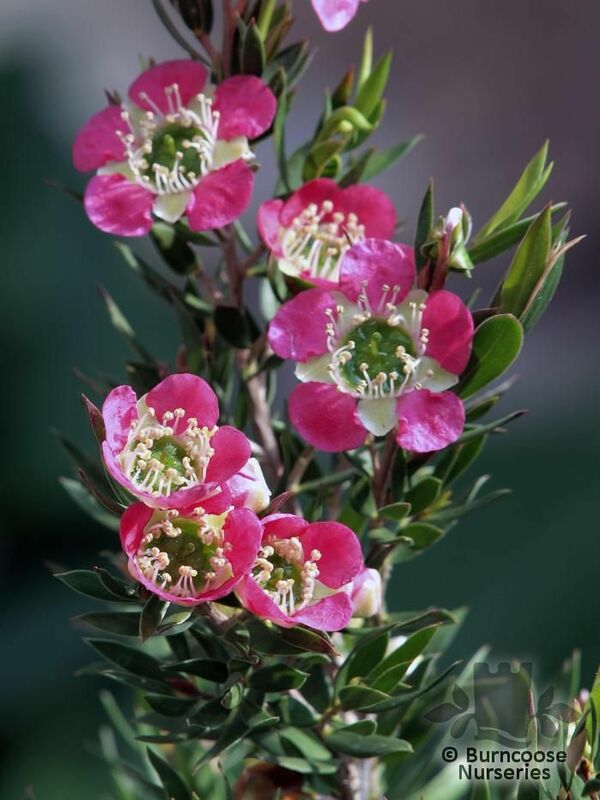 Commonly known as: Australian tea tree. 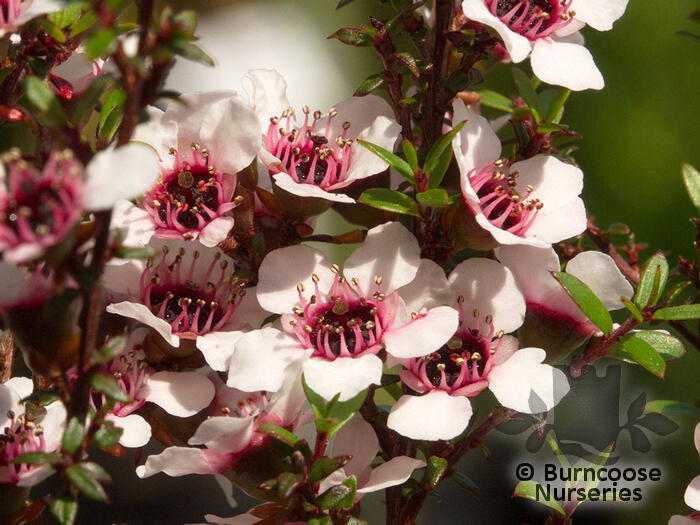 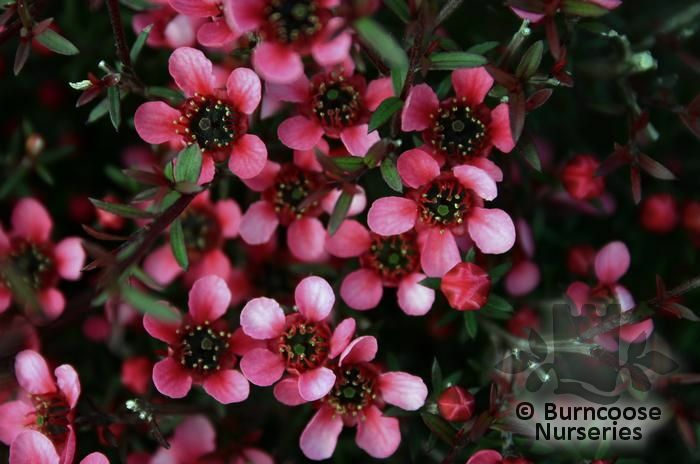 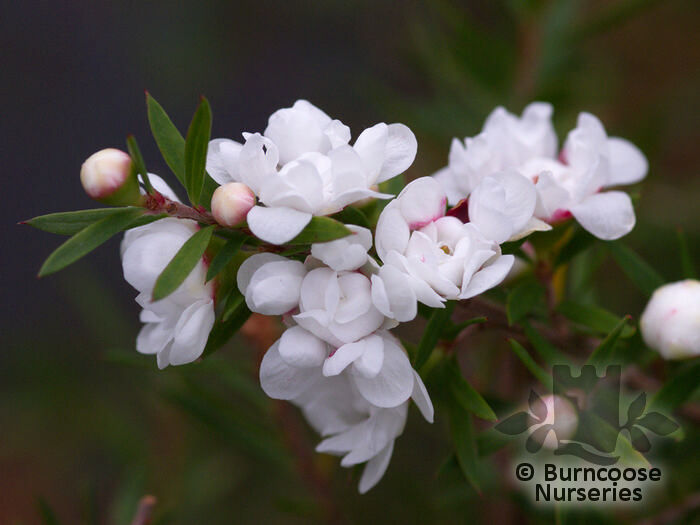 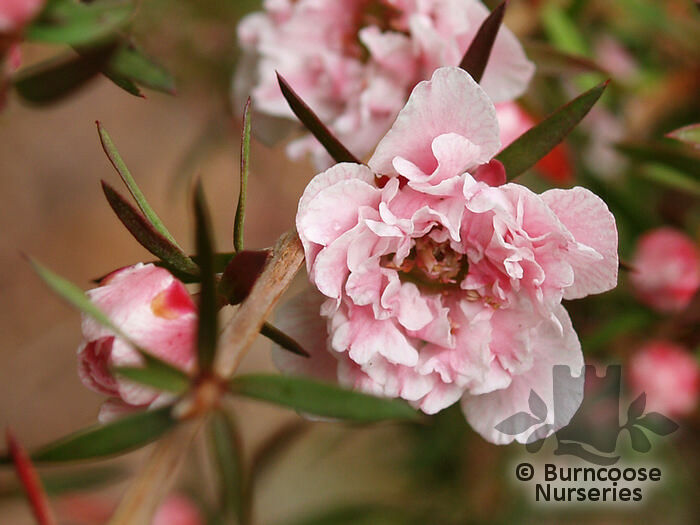 Commonly known as: Manuka, New Zealand tea tree.